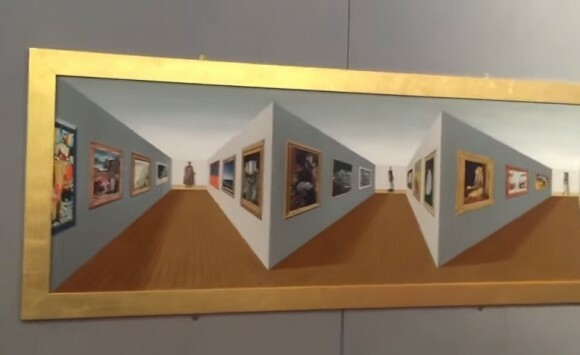 Looking at this 3D art from the sides, it looks like a few 3D pyramids sticking out of the picture frame. Start walking around the piece, though, and it transforms into what looks like hallways filled with art when you look at it straight on. in person, so if anyone’s headed to the Birmingham Art Gallery, pick me up on the way. I’ll pay at the pump. If you loved this art illusion as much as I did, be sure to give it 5 big fat stars below! Love this 3D art? You won’t want to miss this square to circle piece of art then! Prev A Two Headed Cat! Zoinks!